AMD has made a very interesting purchase on the virtual reality front by announcing the acquisition of Nitero, a firm which specializes in wireless VR solutions – and which Valve has previously invested heavily in. AMD has snapped up Nitero’s staff and IP – for an unspecified amount – along with the company’s principal innovation, a beamforming (i.e. targeted transmission) millimeter wave chip to allow for 60GHz wireless communication between headset and computer, which promises to be a low latency cable-free solution. 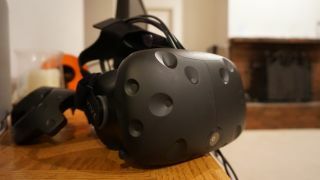 As you’ll know if you’ve tried it out, one of the (quite literal) obstacles to smooth and immersive room-scale VR gaming is the trailing cable to the PC – and it’s quite a thick thing in the HTC Vive’s case – which represents a tripping hazard. And even if you don’t suffer an unfortunate trip and ensuing face-plant due to the cord, you can still feel its presence on the back of the headset, to the detraction of the overall sense of immersion. So a wireless solution would be a massive boon for VR on the PC, particularly a slick and speedy one as Nitero’s is claimed to be – and it has to be responsive, because ditching the cable to suffer from anything that seems like lag would be a step backwards. VR, much more than traditional gaming, must be a smooth affair lest the dreaded nausea rear its ugly head. AMD noted that Nitero’s beamforming technology gets around traditional requirements for line-of-sight, and there are no worries about losing connection on that score. Having the muscle of AMD behind the wireless tech will hopefully ensure that we’re more likely to see Nitero’s chip benefiting VR (and AR) headsets in a sooner timeframe than might otherwise have occurred. Of course, there are other problems facing VR headsets, and the biggest barrier to adoption is the simple cost of the hardware right now. The time it takes price tags to come down is likely to be the biggest factor in determining how soon it is before virtual reality gaming really takes off.